Power inverters change direct current (DC) to alternating current (AC) and, in doing so, provide usable power from batteries and charging for a whole host of applications. 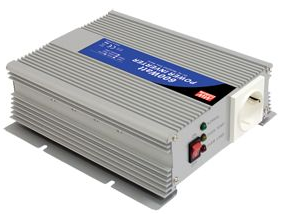 Our power inverters come in varying dimensions and offer a range of 100W to 3000W of power. Pure Sine Wave inverter products are capable of driving highly reactive and capacitive loads from start up and as intelligent 3 stage leisure battery chargers. Avanti Power Repairs versatile range of power inverters are typically used as the main power source, or as a back-up power supply, for marine and leisure equipment. This includes chargers for wheelchairs, golf carts, motor cycles, caravans, yachts, power tools and car batteries as well as other electronic domestic and commercial equipment. 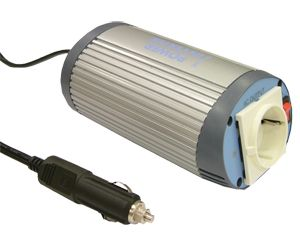 In addition, we also sell solar trickle chargers and solar inverters for car batteries. All of our inverters come with battery low alarm, battery low shutdown, over voltage, over temperature, input polarity reverse and over load protections as standard. Additional features can include built-in USB interface, Power ON/OFF switch, remote controlling and standby saving mode.